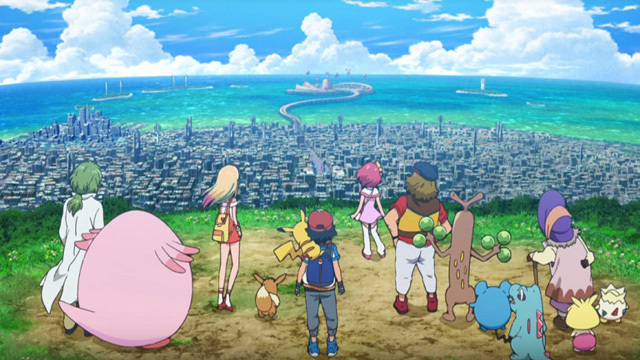 The final trailer for the upcoming Pokémon: Everyone’s Story made its world premier on Japanese TV show Oha Star. With the focus on the daily travails of the film’s various guest characters, the real story is the reveal of Pokémon #807, Zeraora. The Electric-type Mythical Thunderclap Pokémon will star alongside Lugia in the film when it premiers in Japanese theaters on July 13th, 2018. Shortly after its Japanese reveal earlier today, The Pokémon Company International released an English trailer showcasing Zeraora. The Mythic Pokémon will have details of its distribution revealed later this year. Unlike many past Mythicals in their generations of games, Zeraora is exclusive to Pokémon Ultra Sun and Ultra Moon and not its preceeding games, the original Sun and Moon. Ultra Sun: It electrifies its claws and tears its opponents apart with them. Even if they dodge its attack, they’ll be electrocuted by the flying sparks. Ultra Moon: It approaches its enemies at the speed of lightning, then tears them limb from limb with its sharp claws.